As part of the July 2018 Moodle release, anonymous marking was enabled for Turnitin assignments. Anonymous marking is turned off by default but can be enabled by Instructors as long as a submission has not already been made. Anonymous marking allows instructors to grade student assignment submissions without seeing any information that identifies students. This feature may be useful to prevent unconscious bias when grading student's submissions. 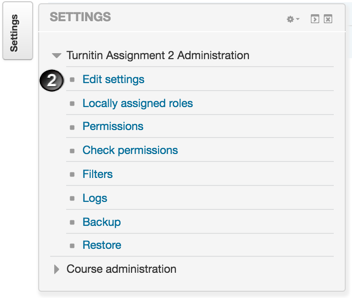 This feature can be enabled in the Turnitin Assignment settings in the 'General' settings page. For more information regarding Anonymous Marking, please click here. Under 'General' you may choose to enable Anonymous Marking. Go through and continue to set up the activity as per your requirements and click Save when complete. 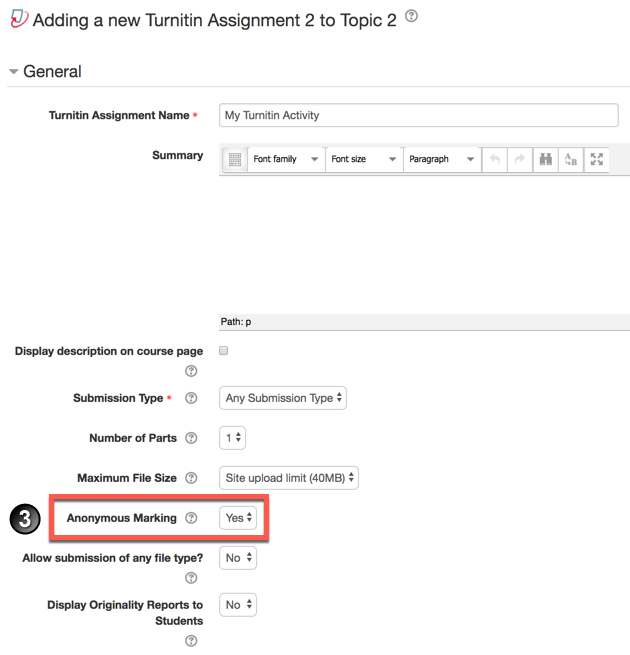 For any pre-existing Turnitin assignments, you may also choose to enable Anonymous Marking. Note: You can only enable in a pre-existing Turnitin activity if no submissions have yet been made by a student. Scroll down and click Save . In your assignment submission inbox, click on Anonymous Marking Enabled. A box will appear asking you to provide a reason for unmasking a students name. Please provide a reason as account administrators will receive notice of your anonymous marking deactivation. Click Reveal once completed. The student's name attached to the submission will now be visible.